The T8 Tractor Series upgraded with ECOBlue™ Hi-eSCR technology for compliance with Tier 4B emissions standards will make its UK debut showing at LAMMA 2015. The entire range is more powerful than its predecessor and has maintained its excellent fuel efficiency. The upgrade also introduces a host of improvements to the operator's comfort and convenience, with enhancements for machine setting and maintenance. The LAMMA Show, which takes place on January 21st and 22nd at the East of England Showground, Peterborough, will kick-start the new year for New Holland, which has a host of fresh and exciting products to unveil in 2015. New Holland UK and ROI Marketing Manager Nicolas Ferrara said: "After a year celebrating the 50th anniversary of New Holland's Basildon tractor factory, 2015 is our opportunity to build on that proud heritage and show why we lead the world in innovation, design and customer satisfaction. "The LAMMA show is a great way to begin what is sure to be another memorable year for the brand which will also see New Holland Agriculture take its place as an Official Global sponsor at the World Expo in Milan between May and October. The international spotlight will be on New Holland as a global Clean Energy Leader." 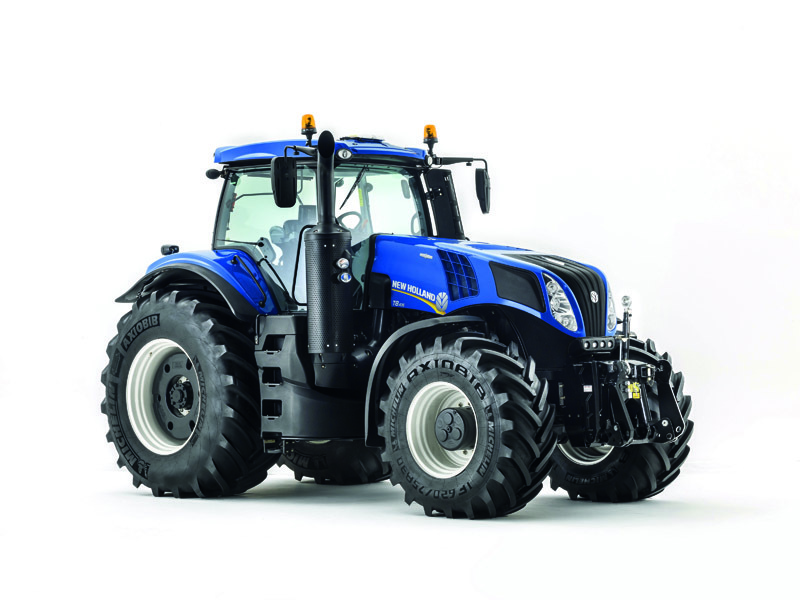 Together with the contractor's choice high horsepower T8, tractors featuring on the ever-popular New Holland stand will be the British-made T6 and T7 series, the livestock favourites T4, T4 Powerstar™, T5 models and the TD5 tractors with the all new Tier 4 engine. Adding to the line-up will be the luxurious Elite models of New Holland's telehandler range, the LM6.35 Elite and LM7.42 Elite models. Completely redesigned, they are part of the new six to nine-metre range of heavy duty telehandlers offering both improved performance and comfort. Lifting up to 4,200kg and with a maximum lift height of 9.1 metres, the range benefits from in-house design and construction, and is set to bring fresh advantages to the medium and large scale livestock farmers, large arable operations and contractors. Also, bringing its power and size to the stand will be the CR10.90 combine, current holder of the most harvested wheat in eight hour record, with its impressive 41-foot header. In addition, the New Holland forage harvester, Roll-Belt baler and the Big Baler will be displayed. New Holland will display a range of Precision Farming solutions including displays and guidance and telematics systems. This means farmers will get the opportunity to see for themselves how New Holland's satellite guided Precision Land Management (PLM) can cut waste, boost profits and free-up time. Providing the very best support to the customer through a professional, trusted and responsive service, the market-leading aftersales service will complete the stand.